In 2007 the Netherlands will become part of the Trans-European network of high-speed rail links. The HSL will link Amsterdam and Rotterdam to Antwerp, Brussels and Paris. The high-speed trains that will run on the HSL at speeds of up to 300 km/h will be more than a match for cars and planes. Comfortable, safe and super-fast from city centre to city centre – these are the keys to customer satisfaction. A quick sprint from Amsterdam to Rotterdam will take no more than thirty-five minutes. Cities like London (3’43”) and Barcelona (7’15”) will be brought a lot closer. To minimise the line's impact on the characteristic fenland landscape of the Groene Hart (the Green Heart of Holland) a tunnel is being driven under it. Seven kilometres long (8.5 km including approaches), the tunnel will allow the line to follow the fastest route between Amsterdam and Rotterdam while leaving the countryside largely undisturbed. 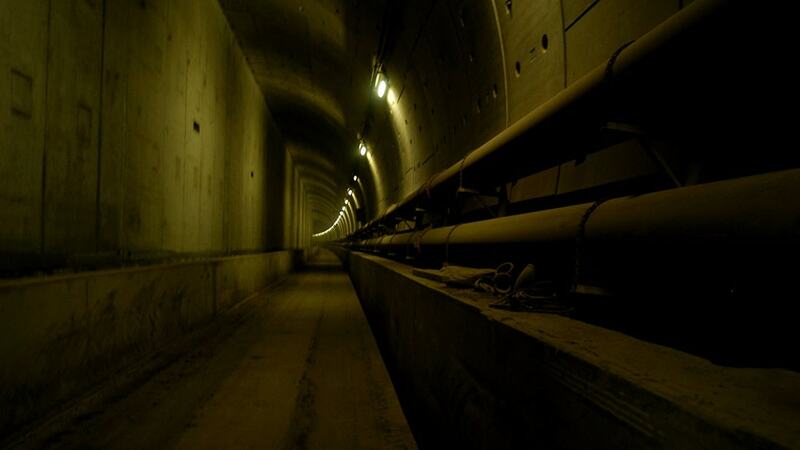 This tunnel is one of the largest projects of the HSL Project. Even more significant, it runs directly below the town I live in. To keep 'the peasants' happy, the companies have for the second time during the construction organized a visitors day, during which the locals can have a look at what there's being build below their houses. Unfortunately, Tickets where sold out fairly quickly. For those who wanted to have a look, but failed to obtain a ticket, I present this photo compilation of what they are missing, or would never have seen in the first place.